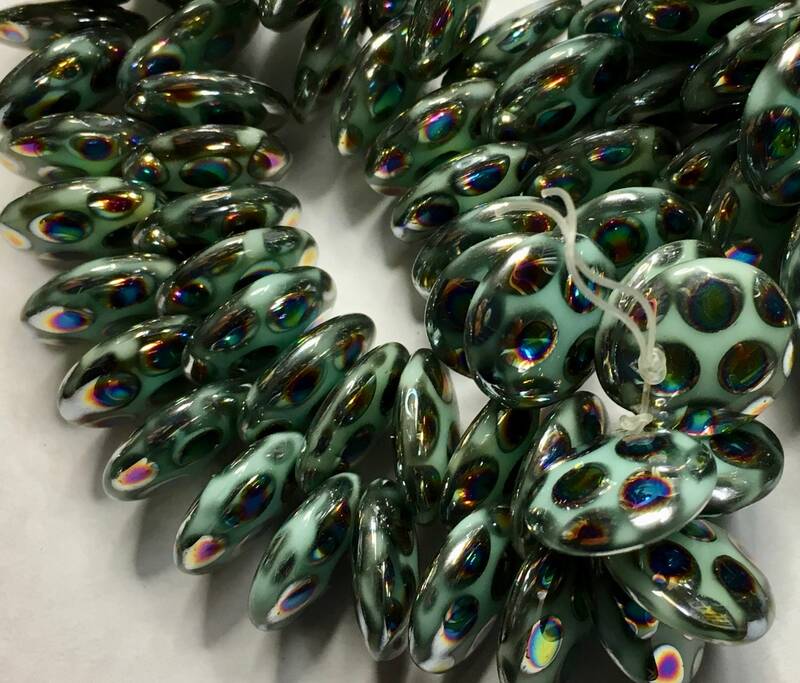 Green turquoise with peacock finish 12mm Czech pressed glass lentil beads. These beads have 1 hole (hole size about 0.8mm) which is located at the edge of the bead. 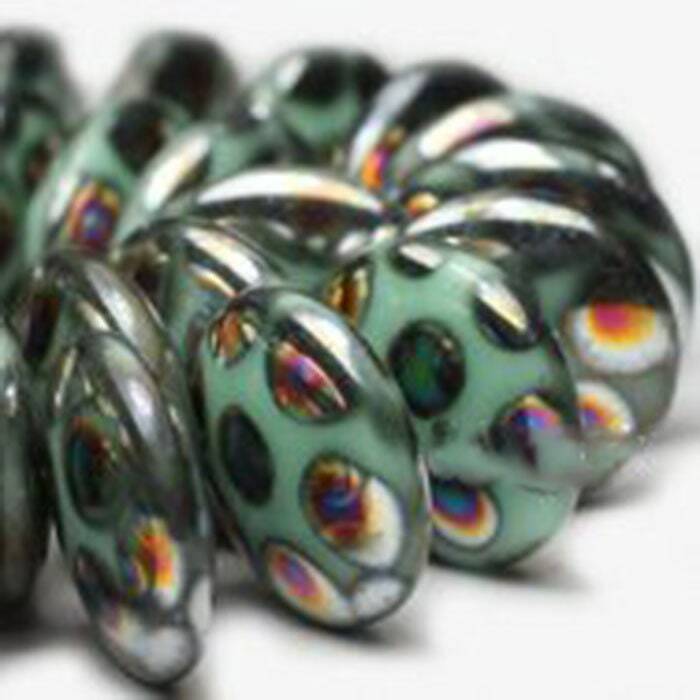 These beads are wonderful for accenting your bead embroidery or bead weaving designs. You will 50 beads. These are great, strange little danglers!